Edward Holcroft is popularly known as an English television, stage and film actor. His acting prowess can be seen in movies like Lady Chatterley’s Lover (2015), London Spy (2015), Alias Grace (2017), and Gunpowder (2017), Kingsman: The Golden Circle (2017). As a stage actor, he has also played in several roles of theater film production as well as in television series. All through the short period of his acting career, he has managed to win the heart of many with his uniqueness and charming looks. Born on 23rd June 1987 in London, United Kingdom, Edward Holcroft is the second of the three sons born to his parents. He spent eight years with his family before he was shipped off to a boarding school. He holds English nationality and is of white ethnicity. Edward Holcroft first attended Summer Fields School before proceeding to Ampleforth College where his dreams of acting began to manifest. At first, young Edward always wanted to be a music artist. He even went ahead to learn the drums and trained his vocals, however, after gracing a show at Oxford Brookes University, his dreams took a turn; and so, in a bid to hone his acting skills, he attended Drama Centre London off Central Saint Martins, the University of Arts London. He later graduated in 2012. Edward Holcroft kicked off his career appearing on different theatre plays. He used theatre plays to refine and groom his acting skills. Apart from his acting stints in school, he subsequently appeared in theatre plays like All’s Well That Ends As You Like It (a TTProductions/Edinburgh Fringe production), Romeo & Juliet (an Ampleforth College/Ampleforth College Theatre production), According to…(a Half Full Theatre/OUDS/Burton Taylor Studio production), Knuckle (a Trinity Players/OUDS//Moser theatre production), Henry Iv (an Oxford Triptych/OUDS/Old Fire Station production), Time To Kill (a Putney Theatre Company/Putney Arts Theatre production), Romeo $ Juliet (a Sedos Theatre Company/Bridewell Theatre production) and Les Liaisons Dangereus (a Donmar Warehouse production). It was in between one of his many theaters plays in 2014 that he landed a role in Vampire Academy; his first movie role. In the same year, he played as Charlie Heske in the famous movie Kingsman: The Secret Service. He took to television shows appearing in the series, Wolf Hall. His unique acting ability was no more hidden as he excelled in every of the movie roles he appeared in. He also starred in movies and television series like Lady Chatterley’s Lover (2015), London Spy (2015), Alias Grace (2017), and Gunpowder (2017), and Kingsman: The Golden Circle (2017). Edward Holcroft was born into a family of five. His dad, Lt. Col. Patrick Holcroft was a reputable military person and banker while his mom, Kathleen “Annie” Holcroft (née Roberts) was a renowned publisher at Condé Nast. One of his brothers, Oliver Holcroft trod his fathers stead and is a former soldier who rendered his services to the Grenadier Guards in Afghanistan. The names of other of his siblings are still very much a mystery. When it comes to Edward’s personal life, he has chosen to let the rumor mills go berserk with the rumors. He is reported to be very much single, however, he was rumored to be involved in a relationship sometime in 2015. 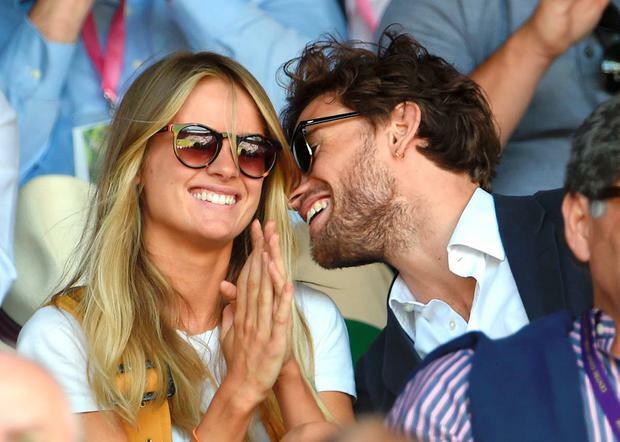 The actor was said to have been in a relationship with the queen bee, Cressida Bonas. According to reports, the two was said to have been together for a long time before they were spotted at a Wimbledon Match. More so, there are claims that Edward and Cressida were seen leaving in a taxi from a London restaurant. While everyone was trying to digest the relationship news, it looked like the rumors quenched what they shared. More so, the fact that Cressida and Prince Harry were pictured together also did well to end the speculations. Ever since, Edward Holcroft has not been seen with any other woman and is currently assumed to be single. Due to Edward’s secrecy pertaining to the details of his relationship status, he has often times been referred to as gay. The speculations got worse after he played a gay character, Alex in the series, London Spy. Well, till date, Edward Holcroft is yet to reveal if these rumors are true, however, until he does so, we rather wait for it.